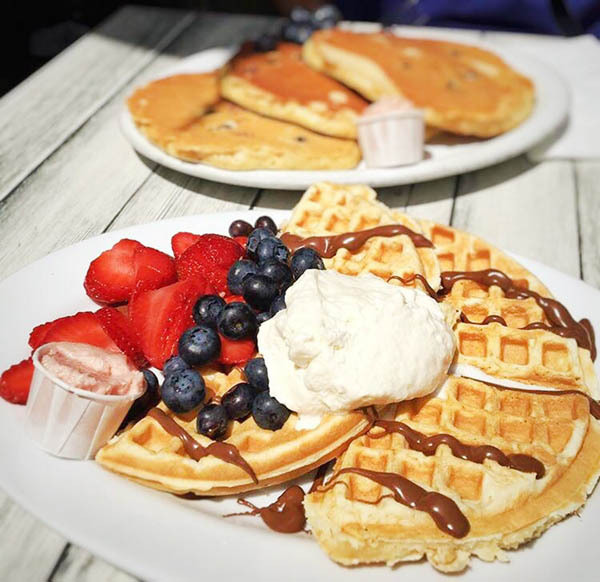 End your day satisfying all your favorite cravings in the Upper West Side. 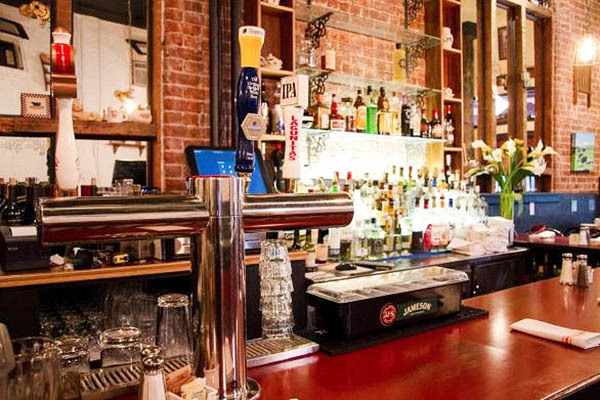 Good Enough to Eat serves the best in comfort food at 520 Columbus Avenue. From a scrumptious late night menu to all-day breakfast, it is good enough to eat and keep coming back. Dinners are just as good as mom used to make them. 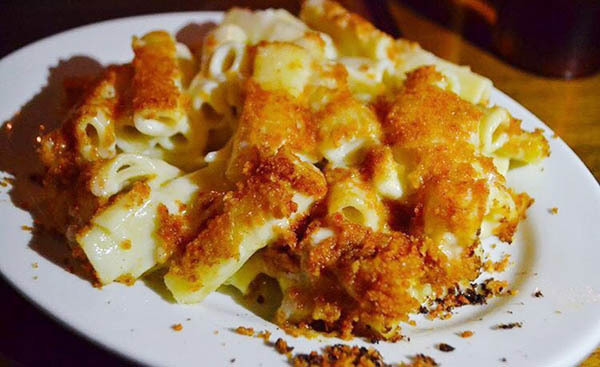 Enjoy classics like Macaroni & Cheese baked with cheddar, mozzarella, gruyere, and parmesan cheese. Meatloaf Dinner is served with a side of gravy, a sweet cranberry relish, sautéed kale, and melt-in-your-mouth mash potatoes. Vegetarians can enjoy the Vegetable Mountain of stir-fried carrots, zucchini, red bell peppers, radishes, broccoli, and red and green cabbage over brown rice. Every cheat day is guiltless with a variety of desserts to devour. Ask for a piece of the Devil’s Food Cake, the Pumpkin Pie, or the Lemon Squares from the dessert menu. Breakfast is offered on their classic all day dining menu. For those who crave eggs later in the day, there are dishes like the Gramercy Park Omelette, which is served with slices of Granny Smith Apples and Vermont Sharp White Cheddar cheese. Take your meal to the next level with Good Enough To Eats popular slab of Triple Smoked Bacon; carefully hand cut to perfection. Fans, worldwide, rave about the bacon’s thick cut, meaty tenderness, and mesmerizing flavor. And no breakfast is complete without a steaming cup of organic French Roast coffee, a glass of fresh-squeezed orange or grapefruit juice, or the famous G.E.T.E Bloody Mary. There is a reason why it is called “comfort” food. There is a quality about every dish that makes it delectable, hearty, and a classic. Good Enough to Eat is definitely good enough to love. Sate your craving for traditional American home cooking at this 30-plus year old Upper West Side dining establishment that caters to neighborhood regulars, international travelers and celebrities alike. Tuck in to classic breakfast dishes like Apple Pancakes, Bacon Waffles or New York State eggs and made-daily buttermilk biscuits; hearty lunch options including sandwiches served on bread baked on-site nightly, mac ‘n’ cheese or salads; as well as popular dinner meals such as Traditional Turkey Dinner (roasted turkey served with cornbread stuffing, gravy, cranberry relish, mashed potatoes, and sautéed kale); Charcoal-Grilled New York Strip Steak; or Pork Chops with maple orange mashed sweet potatoes. Desserts like cakes, pies or rich homemade ice cream satisfy even the most discerning sweet tooth.